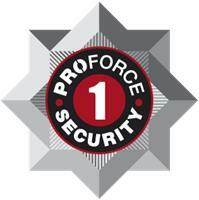 Proforce 1 Security Ltd - Alarms/Security based in Barnet, Hertfordshire. Specialising in Alarm Response, Key Holding, Mobile Patrols as well as Dog and Handler security. We are a visible and recognisable presence in our local area and with current cuts to public spending we are being called upon more frequently, especially for our alarm response service and mobile patrols, attending both private residential & commercial properties, as well as local schools.